Matt grew up in Lafayette where he graduated from Saint Thomas More Catholic High School, and went on to earn his bachelor’s degree from the University of Louisiana at Lafayette. With over 13 years of experience in the banking and finance industry, he is currently Area Sales Manager at Credit Union Acceptance Company. 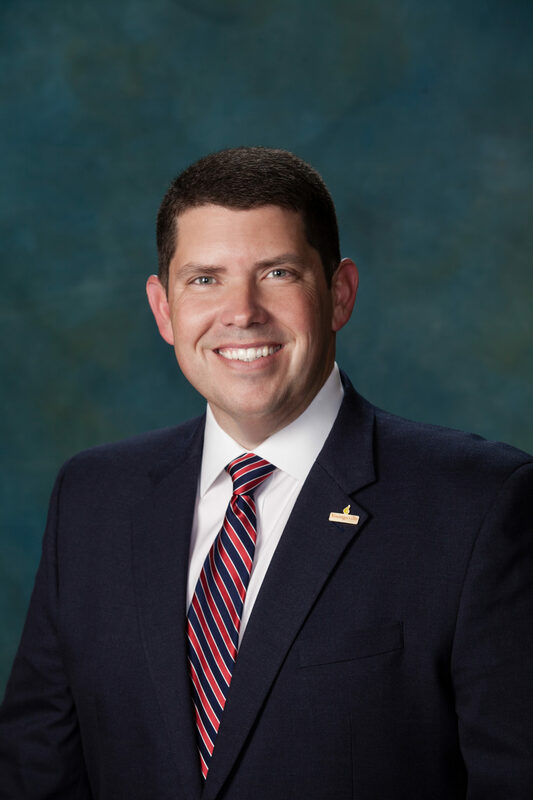 Matt is chairman of the Youngsville Finance Committee, serves on the board of directors for the Youngsville Chamber of Commerce, is a member of the Youngsville Lions Club, the RCAF Club, and the Krewe of Bonaparte. For several years, he has coached youth sports for different recreational leagues, and volunteered time with the March of Dimes, and the Boys and Girls Club. Matt is married to Jennifer Romero and they have two children, Carleigh and Owen. They are members of Asbury United Methodist Church and live in Cedar Hill Subdivision where Matt is a former home owners association board member.